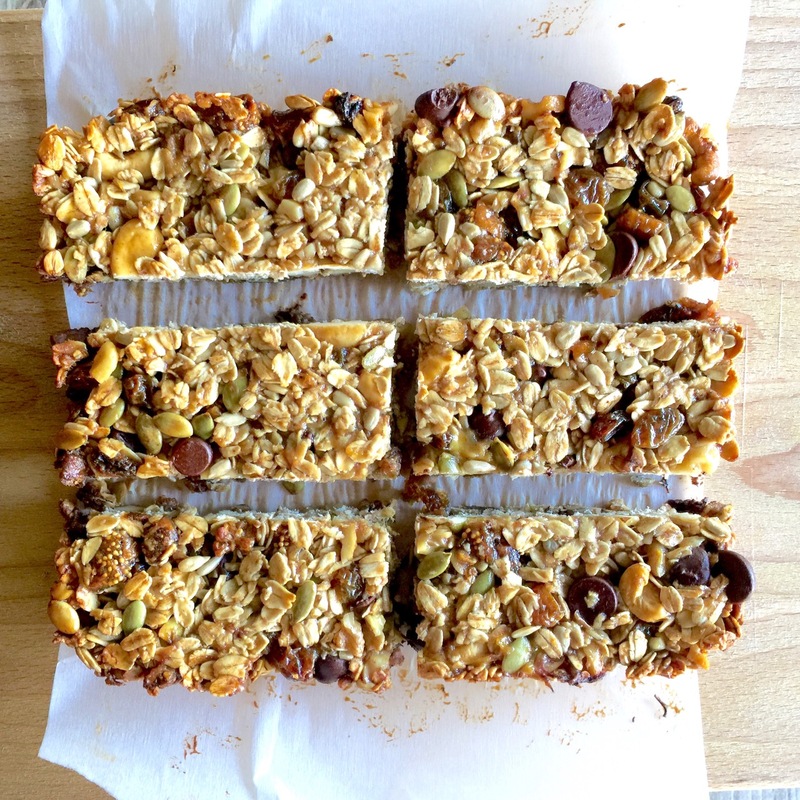 These soft and chewy granola bars are a delicious, healthy and wholesome snack for adults and kids alike! They’re fast and easy to make, and can be stored in the fridge or freezer. Cut them into bite-sized pieces for a grab-and-go treat, anytime of the day. You can use any mix of dried fruit, nuts, or flavored chips. 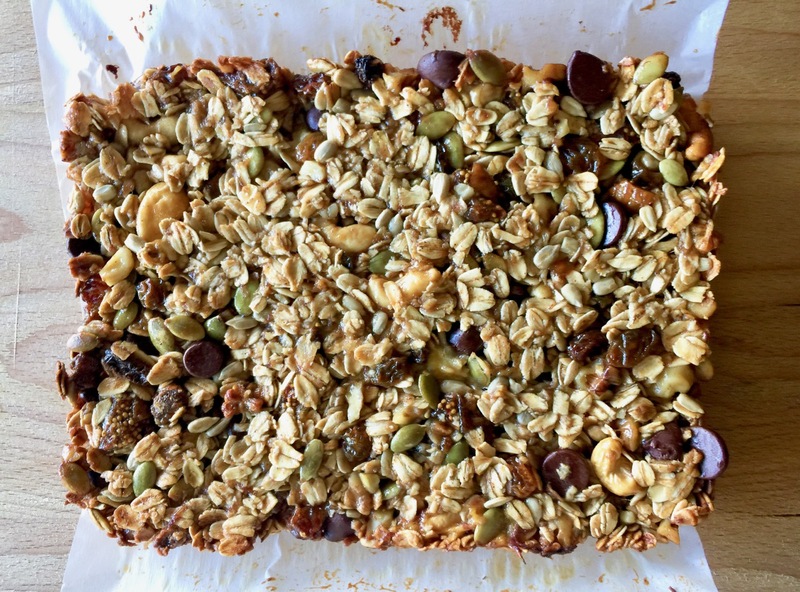 This recipe yields a short and chewy bar, so if you like your nuts and seeds super crunchy, consider lightly toasting them first. 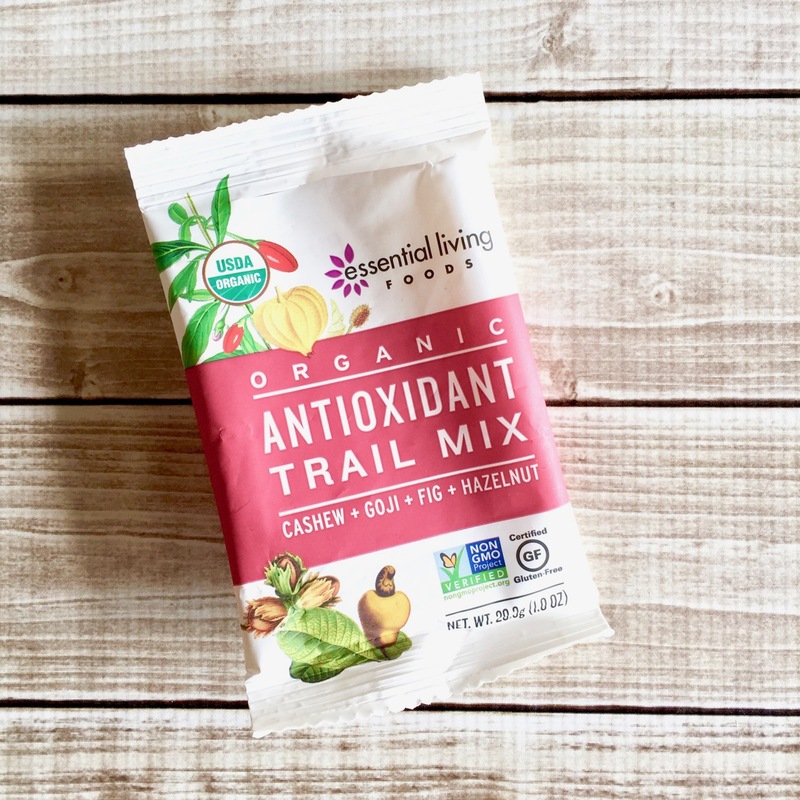 If you don’t keep dried fruit and nuts in bulk, use a trail mix pack. I had one of these on hand and it added a nice mix of color and texture. You’ll want about 2 cups of add-ins. It’s definitely worth keeping a few on these packages in your pantry because they also taste great when added to almost any Amish Friendship Bread variation. Add all dry ingredients to a large mixing bowl along with the mashed banana. Stir. In a small mixing bowl, combine the starter, honey and vanilla. Mix well and then add to the dry ingredients. Stir until well incorporated. Line an 8″ x 8″ baking pan or casserole dish with parchment paper. Spray or grease the parchment paper and any exposed sides of the pan. 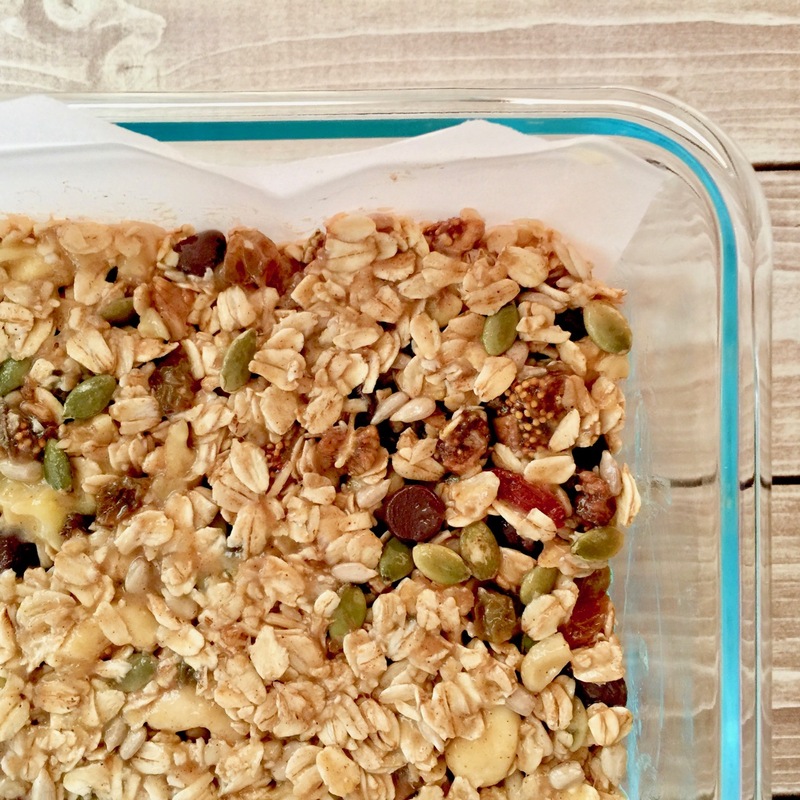 Spread the granola mixture in the pan, pressing down with a spatula so it’s evenly distributed. Bake at 350° F (177° C) for 30-35 minutes, or until lightly toasted and golden brown around the edges. Leave in the pan for 5 minutes then use the parchment paper to transfer to a wire rack for another 40 minutes or until completely cool. Cut into bars or squares and store in an air-tight container. Separate layers with fresh parchment paper. They refrigerate and freeze well, so you can also pack them in individual baggies and toss them into lunchboxes in the morning! 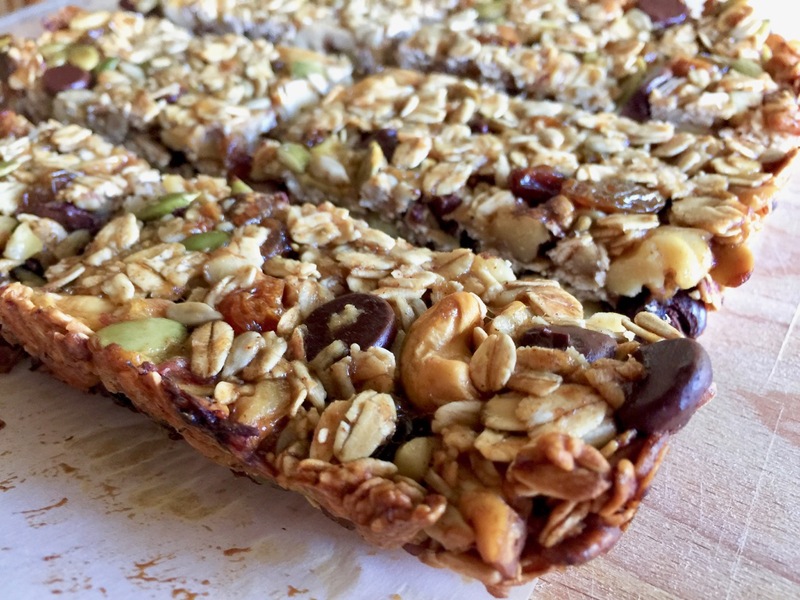 These soft and chewy Amish Friendship Bread granola bars are a delicious, healthy and wholesome snack for adults and kids alike. Line a 8" x 8” casserole dish or baking sheet with parchment paper. Spray or grease the parchment paper and any exposed sides of the pan. In a medium mixing bowl, combine all the dry ingredients including the banana until well mixed. In a larger mixing bowl, combine starter, honey, and vanilla. Add the dry ingredients to the bowl and mix until evenly incorporated. Spread the mixture into prepared pan and press with spatula or back of wooden spoon until evenly distributed. Bake for 30-35 minutes, or until lightly toasted and golden brown around the edges. Cool on wire rack for 30-45 minutes. Cut into bars or squares and store in an air-tight container, separating layers with fresh parchment paper.